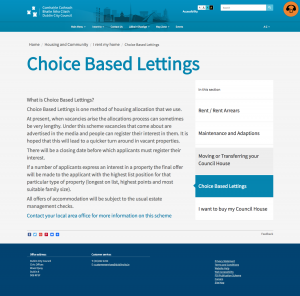 Our updated content and design for the Choice Based Lettings page. 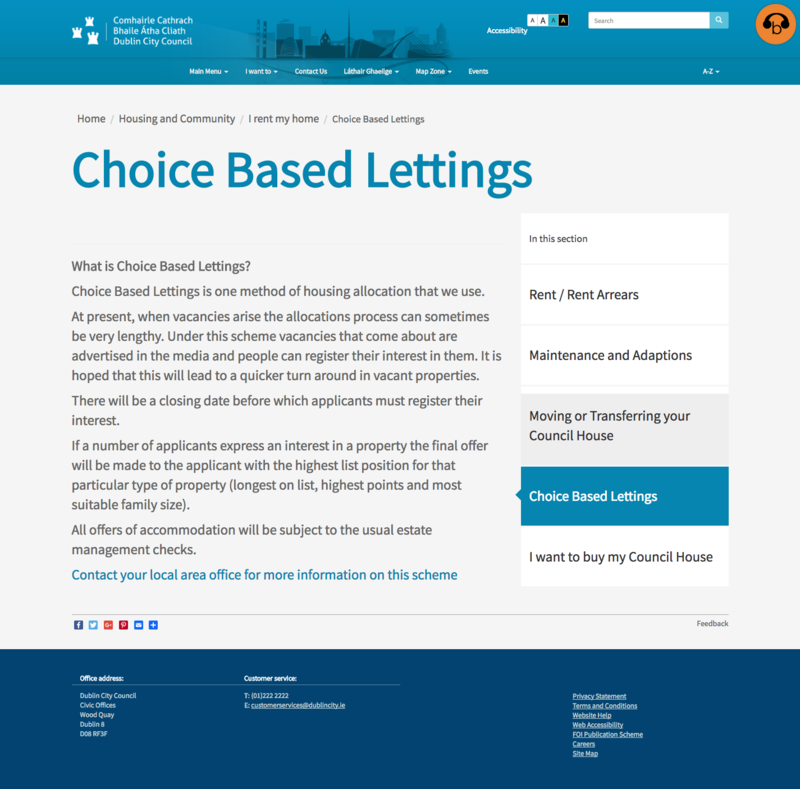 This content was written by the Housing department before the page was designed. We designed the page and the global navigation structure once real content was available.